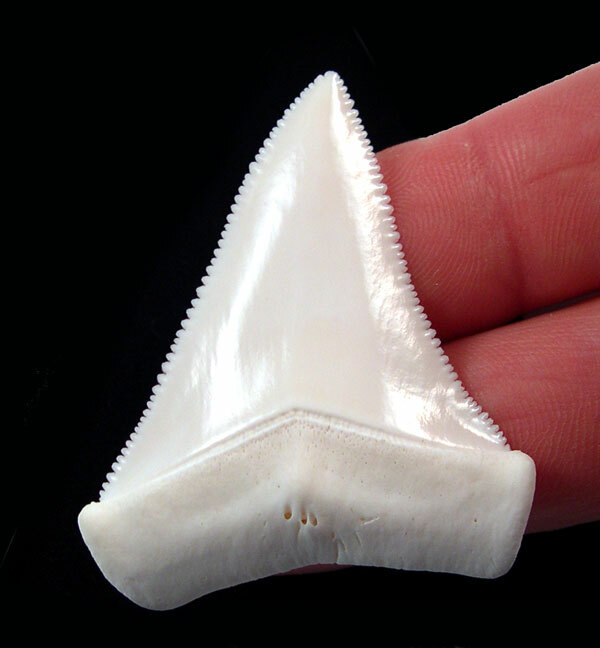 In Florida, locals and tourists both share a fascination with finding a shark’s tooth. Why are we so enthralled by these creatures? Is it the fear they strike in our very core? Is it the beauty that can be found in their ferocious smile? Is it the thrill of feeling you have captured a part of their evil souls? I am sure it is different for everyone and whatever the reason, there is no getting away from the fact that in Florida, everyone loves when they find a shark’s tooth. From my previous posts you can get alot of information about collecting sharks teeth and how to preserve them. Here you will get more information on how to identify that precious treasure you picked up! I have decided to split this into two posts, one for recent Florida teeth and one for extinct or fossil teeth. Megaladon will be in the extinct post so don;t think I forgot this beast! Sharks teeth may be black, gray or brown depending on what sediment they have laid in. It is fairly easy to id the teeth you find as all the teeth in one sharks mouth look the same and only vary in size. All species of sharks never stop growing and replacing teeth they loose. They have over 40 in each jaw and the replacement teeth are in 7 rows. A tiger can produce up to 24000 teeth in a lifetime. 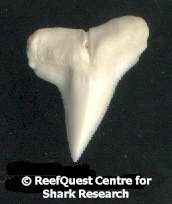 It can be extremely difficult to identify shark teeth to the species level. Factors such as which jaw (upper or lower) the tooth comes from (like the snaggletooth or lemon), position of tooth in the jaw and even diet changes can make it hard to determine. Anterior teeth (from the back of jaw) are generally the largest. Let’s start with the parts of the tooth. Make sure you know what the base, blade, cusp and edge are. It will help you narrow down your search in identifying your shark’s tooth. This first list is what you are likely to find in Florida: I have put them in order of common to uncommon. Meaning the ones on the top, you have more of a chance of finding. Bull Shark: This has a broad serrated blade that tapers into a point. The serrations decrease in size as you move closer to the tip and the tooth has a squared off root. Lemon Shark– Notice the crown not being serrated. Where the crown and root meet there is a wavy cutting surface. There will be a squared off root. Blade will be erect and oblique. Tooth size will vary depending on where the tooth position was. The further back teeth will be more angled and shorter. Size average is 3/4. The necklaces you find in Florida many times will be bottom jaw Lemon Shark. Very Pointy. Tiger Shark: These will have a deeply notched flat blade with deep serration marks at the top shoulders of the blade on the inner margin. This is like a little can opener perfect for ripping through turtle shells. The Blade size will just about equal the root length. The teeth of the upper and lower jaw are the same. Great Hammerhead: has serrations the same size from top to bottom of blade. It will have a flattened blade that tapers to a point. The root will be square. Hard to identify within species. Shortfin Mako: This shark has many variations depending on jaw placement. The teeth from the back of the anterior jaw will be unserrated and sharp like a knife. The teeth from the anterior lower jaw are unserrated as well but will be curved more. Notice the top root, there will be a deep scar that separates the blade from the root. This tooth is also highly bilobed, especially in the anterior lower teeth. Teeth of this species were once used as currency by New Zealand Moaris. Great White Shark: Not found very much in Florida. Very rare and you will geenrally get higher prices for this shark tooth. It will average 1 1/4″. It has a narrow scar that separates the blade from the root. The root is bilobed. The serrations are irregular in spacing and size. It has deep serrations which is not surprising. It has flattened triangular blades. This entry was posted in Home page, Sharks, Technical tips, info, or other useful thoughts and tagged bull, danielle's dives, dusky, florida shark teeth, identification, lemon shark, megaladon, requiem, sand tiger, shark, shark fossils, shark teeth, shark tooth parts, tiger. Bookmark the permalink. I’m trying to find a place I can upload a picture of what might be a shark tooth. I need opinions.